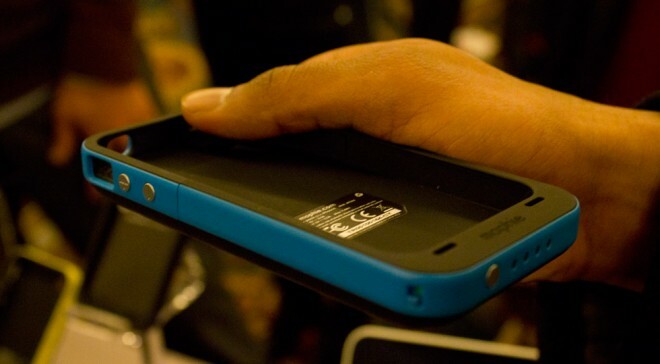 Last year at CTIA 2010, we had a chance to take a look at Mophie’s Juice Pack Air for the iPhone 4. We were quite excited to see the new model given how much we liked the iPhone 3GS version which we reviewed last year. Their latest product, the Juice Pack Plus aims to outdo its predecessor. At full charge, it has enough power to more than double the battery life of the iPhone 4. Surprisingly, the Air and Plus have the almost the same dimensions and weight. The Plus model also features a rubberized shock proof band over the hard shell case for additional protection. The Air and Plus are available for $80 and $100, respectively. 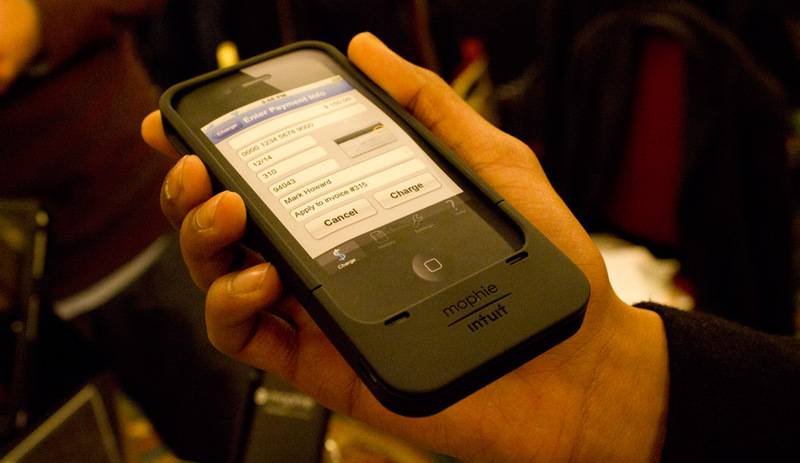 Mophie also showed off its Marketplace mobile payment solution, which utilizes Intuit’s GoPayment service. Similar to Square, the Marketplace allows users to accept credit card payments with an iPhone 4. The device’s slim rubberized case looks great and adds little bulk to the iPhone. It’s a revamped version of the credit card reader that was originally available for the iPhone 3GS. However, unlike Square, which ships a free reader to all customers, the Mophie Marketplace costs a whopping $180.